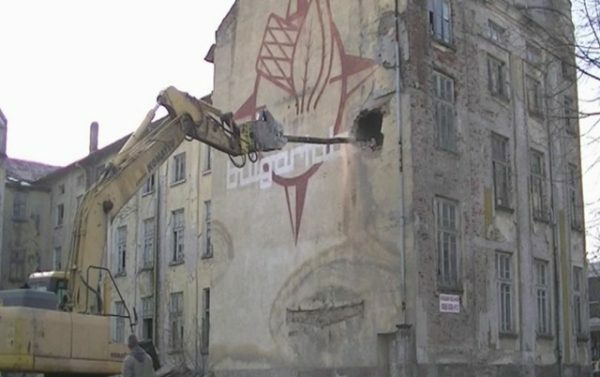 The attempt at demolishing a historic 1920s tobacco warehouse in Plovdiv, now the subject of pre-trial proceedings by prosecutors because the building was meant to have protected cultural heritage status, has turned the focus to the fate of other historic buildings in Bulgaria. 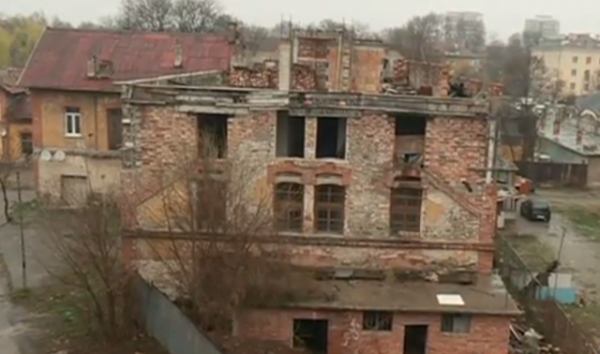 Prosecutors and authorities are now checking the condition of other buildings in the country. Reports on March 10 said that in Bulgaria’s capital city Sofia, the municipality has approached prosecutors regarding the state of the Peyo Yavorov house and the former Sugar Factory building. Yavorov was a famed Bulgarian symbolist poet, who died in 1914. A house in which he lived, in Sofia’s Rakovski Street, is meant to preserved but is in a dilapidated condition, set behind an overgrown and neglected garden. The Yavorov house in Sofia. Screenshot via Nova Televizia. 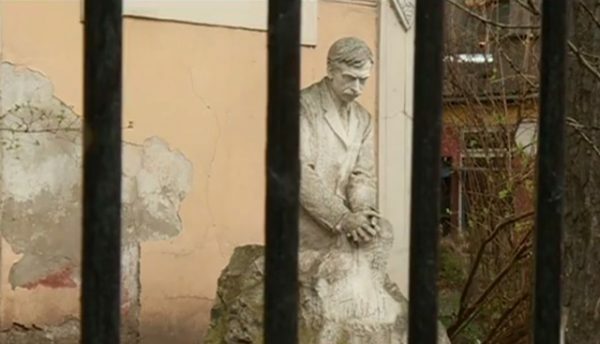 Vladi Kalinov of Sofia municipality’s construction control department told local television station Nova Televizia that the house was a “national shrine” but the inaction of the owners in maintaining it was striking. The municipality has imposed large fines for the neglect, but these generally were appealed against in court, the report said. The owner of the Yavorov house said that only cosmetic repairs to the building were intended because of problems getting credit from banks and with title deed documentation. Hopes were, together with the municipality, to get a comprehensive solution to the problem. The Sugar Factory building, constructed in 1898 and from which the surrounding Zaharna Fabrika area of Sofia takes its name, partly collapsed a few years ago. Two people died in the incident. The owners were fined 50 000 leva (about 25 000 euro). Sofia municipality construction control department’s Kalinov said that because of the latest collapse of a building there, further fines of 100 000 leva had been imposed, but these were still the subject of court action. According to Kalinov, the current owners were difficult to find, including by the court. In Harmanli, a tobacco warehouse, that had been declared as in dangerous condition by the municipality, was torn down by the owners in late February 2016. Stoilka Ignatova, chief inspector at the Ministry of Culture, told reporters that the demolition of the building, which had dated back 92 years, had been illegal. The municipality said that no documentation had been found that the building had been a monument of culture, but it has now become apparent that it did. The Ministry of Culture has begun an investigation. Harmanli mayor Maria Kirkova told public broadcaster Bulgarian National Television that multiple formal warnings had been issued from 2009 onwards that the building was a hazard. There had been cases in which masonry had fallen from the building, although fortunately no one had been injured, she said. Kirkova denied that there had been any documentation that the building was a listed monument of culture. BNT said that the building had been listed in 1977 (the same year as the 8 Odrin Street tobacco warehouse in Plovdiv) and this list had been filed at Harmanli municipality. The ministry expects to conclude its investigation within a week. It remains to be seen whether penalties for the destruction of the building will be imposed. In Sofia, there have been media reports questioning what is to become of the building, more than a century old, that formerly hosted the Sin City night club and before that was a well-known cinema. The building had national monument status, reportedly because in the 1940s, Bulgarian communist dictator Georgi Dimitrov had given lectures there, according to local television station bTV. In 2003, it passed into the hands of a private owner, who rented it out for use as Sin City. The building has been closed for several months and it seemed that preparations were being made to demolish it. The building currently is missing part of its roof and some windows, exposing the interior to the elements. The “Save Sofia” initiative has been campaigning regarding the building, which is at Sofia’s 61 Hristo Botev Boulevard. The initiative’s Hristo Iliev said that it was valuable as a monument of culture and could again be used for cultural activities, as in times of old. According to bTV, business person Krassimir Georgiev, the owner of the building, had confirmed that he intended that the building would be knocked down. No decision had been made about what to build in its place but he said that the law would be complied with, while preserving the original ornamentation, he said. There had been reports that the site, once cleared, would be used for a new five-star hotel. Sofia’s acting chief architect, Boyka Kadreva, said that no building permit had been issued. The municipality wanted to see a detailed design, on which city councillors would vote. Media reports said that the Ministry of Culture had confirmed that the building was an architectural monument. This decision had been taken by the special committee on the protection of immovable cultural heritage at the Ministry of Culture and was reflected in a July 2003 document. The district in which the building is located also has the status of a cultural monument. Iliev of “Save Sofia” said, “by destroying old buildings and building only new ones, we are building a completely new look of the city and tearing the connection to the past”.